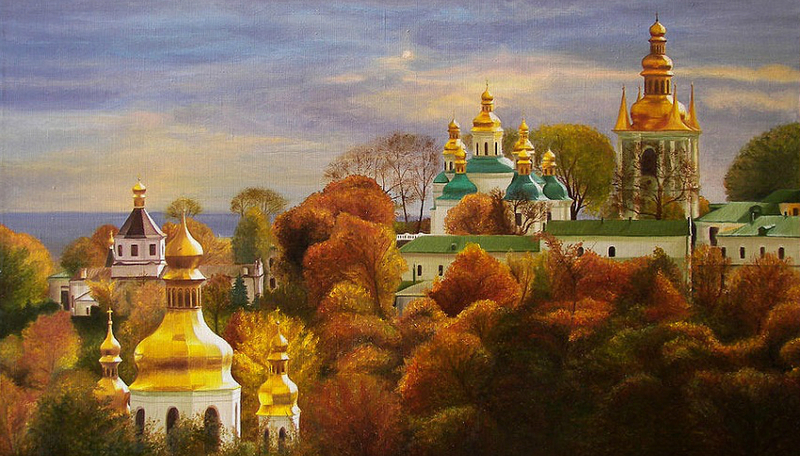 During the walking pilgrimage in the Lavra, the greatest holy place of the Orthodox world, first of all, you will see the ground churches of the 11th-19th centuries, you will hear the history of this ancient monastery of Rus (Ruthenia)**, get to know the life and the feats of the great ascetics – the monks of this monastery and see their imperishable bodies, the remains (relics) of these saint people. You will hear the narrative about the miraculous divine help to the people who turned to them in prayer. Also you may visit the ancient underground temples of the 11th century, put candles for the health of your close people, pray to the saints of God, whose bodies remain imperishable. You will be able to overlook the ancient architecture of this remarkable ensemble of the architecture of Rus. 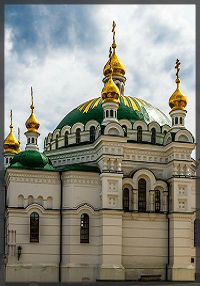 ** Rus is the vast ethno-cultural region in eastern Europe, the historical name of East Slavic lands. «Ruthenia» is one of the medieval Latin names of Rus. Kievan Rus was the East Slavic state in Europe from the late 9th to the mid-13th century, under the reign of the Rurik dynasty. and 3 cave temples (look at the map). 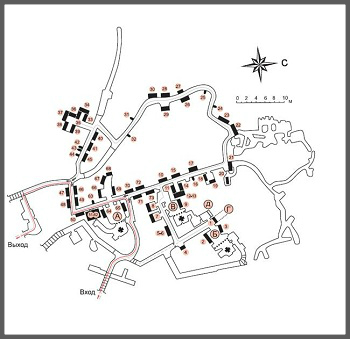 Map of the Near-by caves of the Lavra. 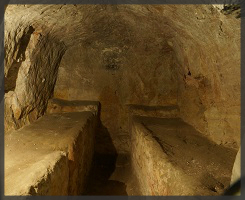 The depth of the caves is about 10-15 meters. The length of the labyrinth is 383 meters. C. Underground Church of Ven. 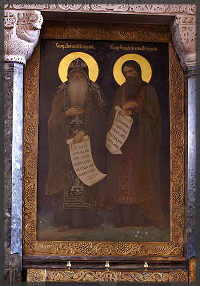 Barlaam, the Hegumen-Abbot of the Kiev Pecherskaya (Cave) monastery. 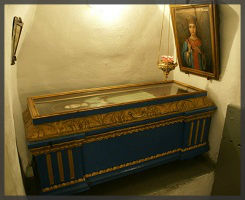 The relics of 74 saints, accompanied by tables with names and icons of the saints, ancient burial niches, the icons of the mid-19th century. 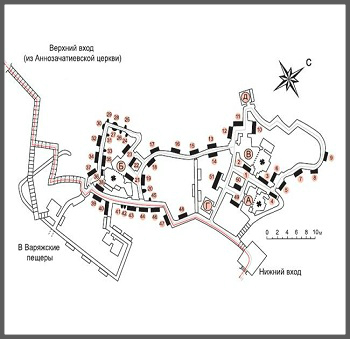 Map of the Far-off caves of the Lavra. The depth of the caves is about 15-20 meters. The length of the labyrinth is 293 meters. A. 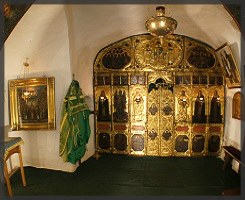 Underground Church of the Nativity of Christ. B. 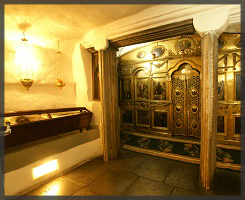 Underground Church of the Annunciation of the Blessed Virgin Mary. C. Underground Church of Ven. 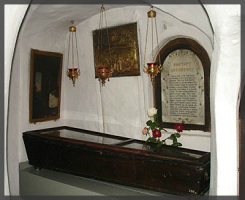 Theodosius, the Hegumen-Abbot of Kiev Pecherskaya (Cave) monastery. 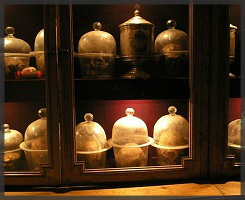 The relics of 48 saints, accompanied by tables with names and icons of of the saints, ancient burial niches, the icons of the mid-19th century. The excursions is available in Russian, Ukrainian, English, German, French. every day from 9:00 till 16:00. The nearest metro stations are Arsenalnaya and Pecherskaya. 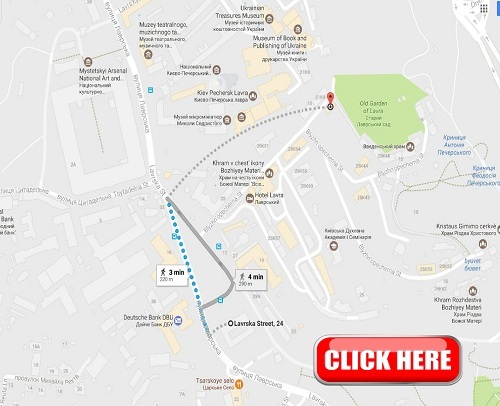 You must go to the street Lavrskaya 15, to the entrance of the Lower Lavra. The nearest public transport stop is near the entrance of the Lower Lavra - this is the bus stop for № 24, for trolleybus № 38, minibus № 520, № 470. 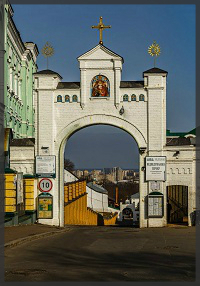 You can get to the Pilgrimage Department (housing 39) going straight through the arches № 1, № 2, passing-by the Worship Cross, behind which there is a two-storey building, housing 39.